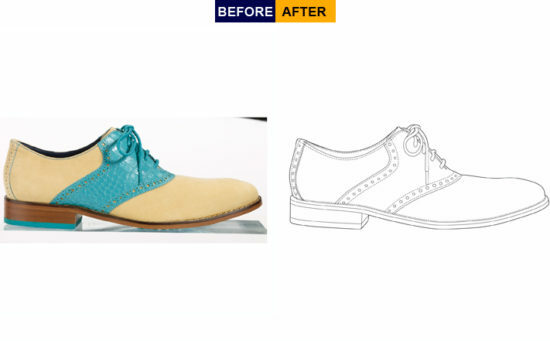 Raster to Vector Conversion Service is one of the most popular image editing service in this industry. Small business owners are often collecting images from online sources but, sometimes they couldn’t able to get the required resolution of the image. If a photo doesn’t have the right resolution then the image can’t be used in professional purpose. Don’t worry we’re here to help you. We provide world’s best raster to vector image conversion services for quite a long time. But before anything else let’s have a look on the service. Raster and Vector are two types of formatting application of any image. Raster images are usually developed by pixel integration and lower resolution. Whenever, you zoom the image will break the pixels and you can’t possibly understand the objects of the image. This type of images are significantly meaningless photo for anyone if they want to use it to display. On the other hand, vector images are developed by shape regeneration, every objects of an image developed into a single shape by which you can use the shape however you want. You can easily convert vector image to any other format which is the most promising feature of vector image. You will be able to change the size of the shape to any extent. You also be able to zoom the shape to any further. Mostly we get quotation request for raster to vector image conversion. That means, regenerating the vector shapes from existing raster images. So that, they can use their favorite images in any way they want. 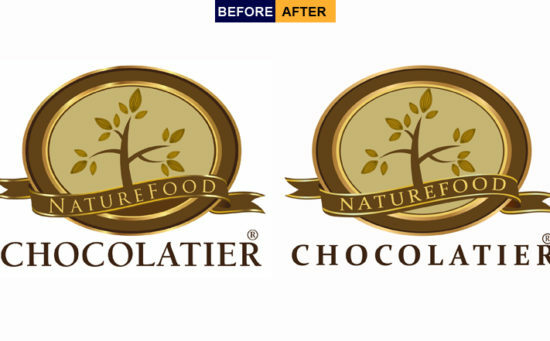 Raster to vector conversion service was established to help business owners who were facing different issues like, whenever they wanted to make changes a specific part of image or the whole image, then the image broke down. The problem of the image was, properties of the image like, zooming, increasing the size of a specific object of an image was not activated when the image was created. To make every object of an image changeable this service was found by service providers like us. Now, let’s know about the raster to vector conversion. Who Need Raster to Vector Conversion Service? Anybody who need the best quality images but they has only the low resolution images are in need to vector conversion service. If you want to be specific then, magazine &amp; newspaper owners, small business owners, e-commerce business owners, advertisers are the taking service from us regularly. This service depends on the requirement of image quality someone need. For newspaper and magazine owners are often need these types of images for their publication. Apart from all these, if your business has a presence online then you must have to display your product in different ways there. If you display low quality images of your product then you might not be able to get the targeted sales you want. So to impress your consumers you must use the high quality images. To do that, you can use raster to vector image conversion service and get the high resolution images of your product. How We Do Raster to Vector Conversion? Converting raster image to a vector image/shape is not a very easy task. To complete the process properly you must’ve to be able to understand the quality and the pixels of that image. Every image format has its own graphical behavior, so to make conversion from any format to vector image you have to be critical and technical in the same time. We use the latest adobe integrated software as well as other advanced technological assistance to make a meaningful and natural vector image out of a raster image. Regeneration of Vector image of a raster Image will open unlimited possibilities of usability of that image. Currently we’re providing the advanced service for integrated raster to vector image conversion. Our dedicated expert team is working on every single image separately to make sure the quality of our production. We are providing the service for 10 years now. 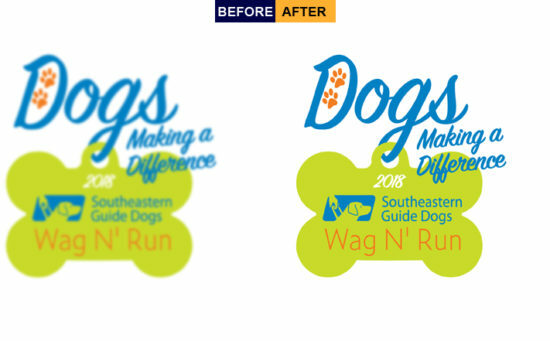 We can ensure you that the process we follow to produce the best quality and natural vector images from raster images is unique and you aren’t going to get this quality from anywhere. Because we’ve said earlier that, generally service providers make the conversion by the graphic designer in common. But in our company we’ve set up a different team of people who has specifically expertise on raster to vector image conversion from any format of images. Apart from that, our client response after taking this service from us is incredible. We are now receiving hundreds of quotation requests from anonymous consumers who are recommended by our past clients. On the basis of the reviews and responses of our client we can now claim that we’re the best raster to vector image conversion service provider in the industry. We believe in trust and long term relationship with our clients. As a result of serving the quality service, we’ve acquired a large number of clients who are taking service from us for years. Best in House Team of Expert Dedicated to Vector Image Conversion. One Client One Dedicated Expert Policy. At the end all we can say that, you must try the best reviewed service provider to get the best quality vector images from your raster images. If you couldn’t chose the right service provider then you might get into trouble. That’s why we are providing the firs 2 image conversion for free. Find the get free quote option and send us the first two images you want to convert. After checking the quality you can order as much as images as you want. Because we can provide the bulk services for any potential client. What are you waiting for send us your images and experience the best Raster to Vector Conversion Service.